Wildlife interactions are common throughout Jackson County. 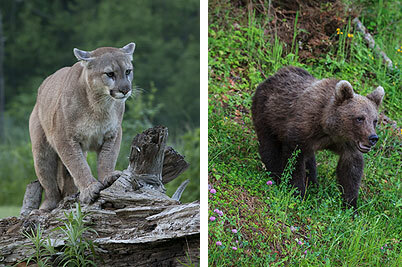 As the weather pattern dries out, wild animals, predator and prey, tend to crowd more near water sources, such as those located in developed areas. This natural phenomenon can increase potential conflicts between humans/livestock and wildlife. Jackson County contracts with APHIS Wildlife Services to provide both technical and direct-control assistance to Jackson County residents. To review data relating to Wildlife Service activities in Jackson County, please see the documents below. Additional information regarding the Wildlife Services program can be found here: https://www.aphis.usda.gov/aphis/ourfocus/wildlifedamage.